For weeks now we have sought out a lamp, hung in the Tangierwa, a synagogue here in Casablanca that has since closed. The lamp was hung in memory of David Roffe, the paternal grandfather of my husband. My husband saw this memorial lamp in 1988 when he came to Morocco. We have been told that the lamp was sold when the synagogue closed in the early 90s because Jewish artifacts are extremely valuable in Morocco. Still we ask everyone we can find, every contact about this lamp, refusing to give up. Today we visited the Jewish Museum in Casablanca, the only Jewish Museum in a Muslim country. Because artifacts such as the lamp my husband seeks have disappeared from synagogues that closed due to a declining population, the Jewish Museum opened in 1995 to be a repository for the artifacts when the synagogues closed. The Museum offered an amazing collection of Jewish artifacts, a few Tebahs, megillot, Torah scrolls, gold and silver jewelry, including some interesting Berber necklaces. There seems to be a fascination here with the Hamsa, as Moroccans are extremely superstitious. We also visited the Beth El Synagogue, the largest open synagogue in the country, and a fascinating kosher bakery that offered bissuelas, a Moroccan version of ka’ack, sesa me candy, almond nuggets and an assortment of Moroccan pastries. 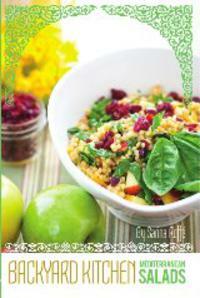 Some of these recipes are included in the cooking app Sarina’s Sephardic cuisine. Still fascinated by kitchen objects, we bought magnificent Moroccan teapots today. I love to make Moroccan tea after dinner on Friday nights. Basically you take a green tea and mix in lots of mint (nana) with lemon rind and sugar. We drank some here and it was soooooo delicious. The Moroccans have a special way to put the after dinner tea, holding the tea pot high up and pouring the tea into the glass. We will be searching for magnificent hand painted tea glasses in the next few days and hope to pick some up in Marrakech.